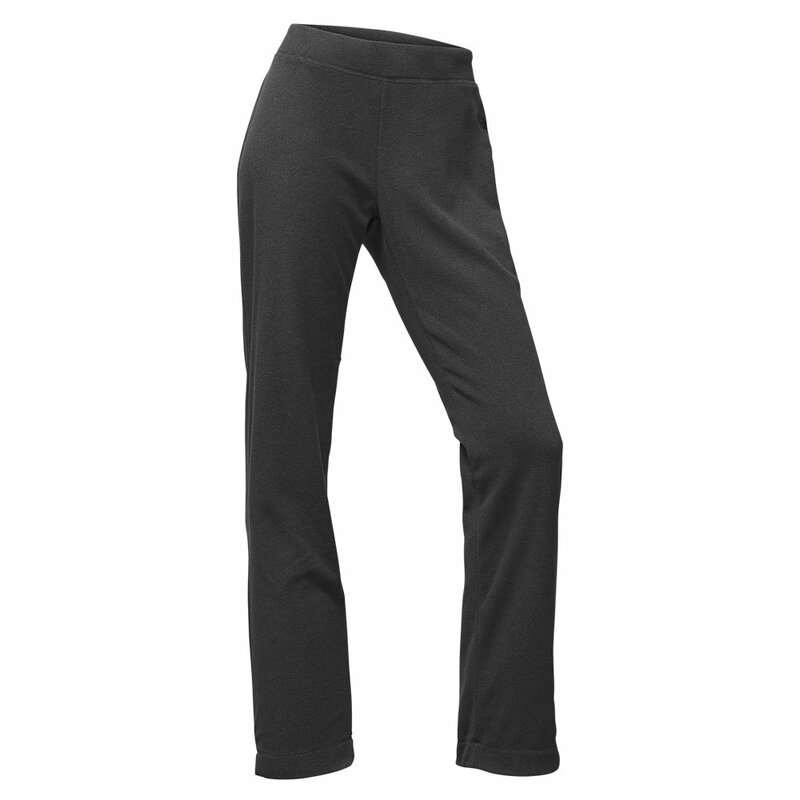 Layer up for the cold in The North Face Women's Glacier Pant. This cozy fleece pant is designed for the soft, melt-away on-skin feel, keeping you comfortable on its own or underneath additional winter layers. The face is pill-resistant, holding up admirably to the wear-and-wash cycle. The slim leg provides a flattering profile while the relaxed cut keeps things comfortable. A secure-zip back pocket ensures you have a place to carry personal belongings. "What is the inseam on these pants"
"You can view the inseam measurements on all sizes of these pants here . Hope this information helps. " These are comfortable and much more stylish than the baggy Old Navy fleece sweatpants I like to wear around the house - but they are NOT warm. The fabric is very soft and comfortable, but too thin for a cold day. Also you should be cautious about your underthings. Lines show.